Here are some examples of the dream packages we can put together for you. So much to see, so little time? Here’s a plan for you that will make sure to check off those bucket list items. Start by taking a short ferry ride with the locals to the island of Moorea. Stay a few nights and go up Belvedere mountain to get a view of Opunohu Bay to get a taste of the paradise that you are about to discover. Stay in a private plunge pool bungalow, your own private oasis. Fly to Raiatea and take a short boat ride to Taha’a Island. Swim and float with the current while you snorkel along the crystal clear coral garden. Visit a Vanilla plantation and gain an appreciation for the 3 years it takes to grow one perfect bean. From Taha’a you can see Bora Bora, your next destination. In Bora Bora there is no shortage of things to do, (like snorkeling with sharks) but why not finalize your plans from your very own overwater bungalow? 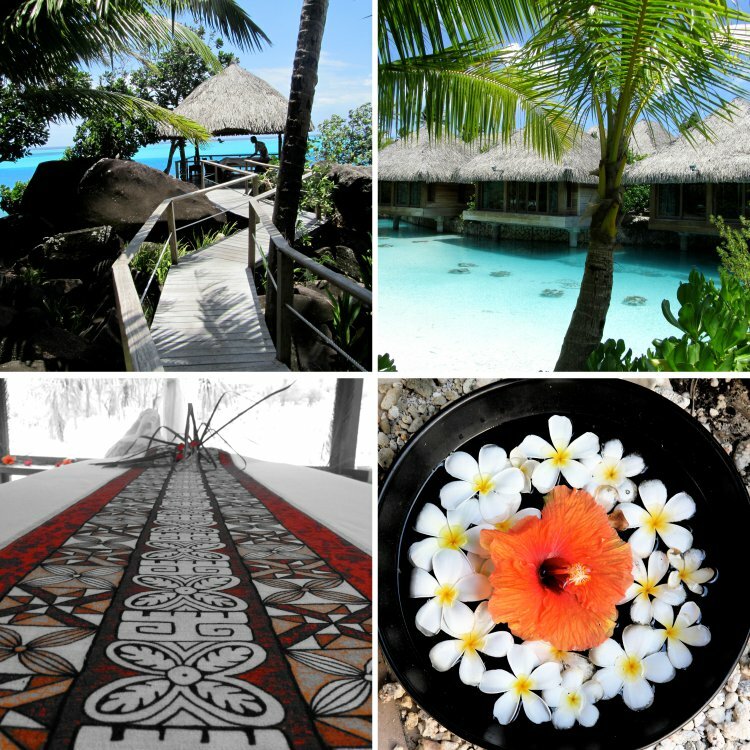 After the excitement of Bora Bora, unwind in the Tuamotu’s, a place where you feel like you can touch the stars. A tiny spit of land between a turquoise lagoon and the dramatic ocean break of the deep blue sea. Stay a few days before making your way back home via Tahiti. If you are looking for an exclusive destination, this is it. There are hotels and beaches where you can feel like you are the only ones on the planet. Resorts where the smallest bungalow is over 1,800 sq ft. 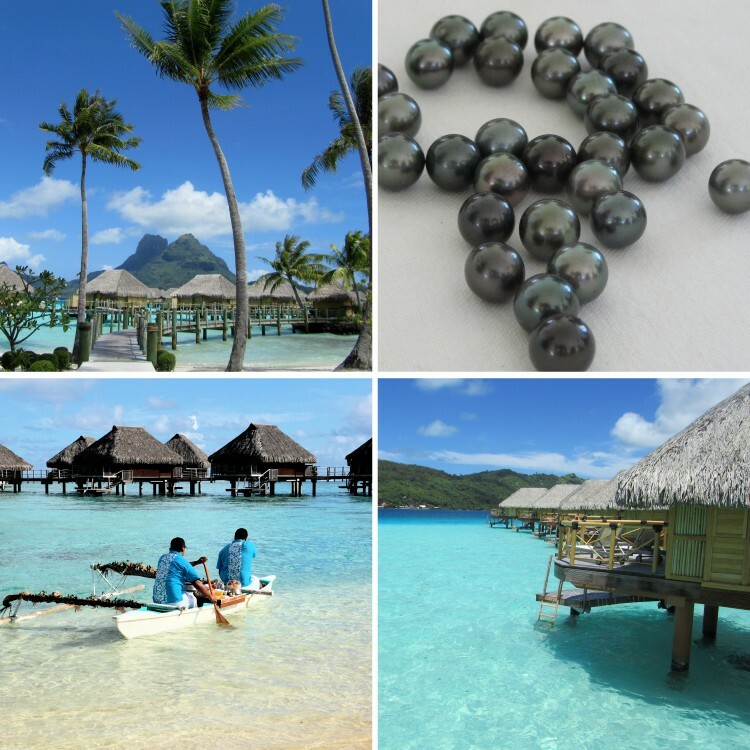 Places with fine dining and unique experiences, like diving for your very own Tahitian Pearl. Find yourself in an end of pontoon over water bungalow with nothing but the Bora Bora mount Otemanu in your sights. A place where everything can be privatized and several resorts have their own helicopter pad. A place rich in culture, legends, song, and dance. A place where very few are fortunate enough to get to. The big day has come and gone and you finally get to take some time, just the two of you. Visit two or three islands/atolls and stay in Private garden bungalows with your own oasis and plunge pool. Experience the overwater bungalows with partial glass floors or night tables that open up to the ocean below you. Have breakfast delivered to your room by traditional pirogue with Polynesian songs and flowers. Indulge in a romantic couple’s spa and arrange a private candlelit dinner for two on a secluded beach. Top it all off with a helicopter ride to the heart-shaped island of Tupai (from Bora Bora). Take the time to relax and unwind by spending time in the natural spas of French Polynesia. Most hotels have their own local spa products, rooting from locally made Monoi oils, pressed flowers, and coconut husks. Some hotels even specialize in a spa experience and tailor your entire stay around the spa. Picture your yoga, reiki, Tai Chi retreat in a spiritual motu or atoll: French Polynesia is a place where you can really take time to disconnect with our fast-paced world and let yourself be engulfed by the lagoons and their thousands of shades of blue. 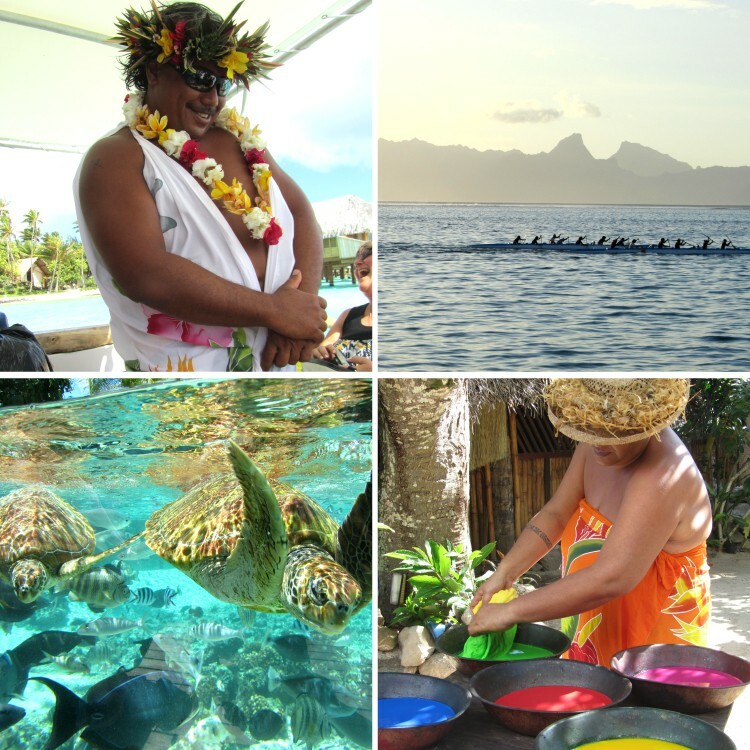 If you want to truly experience French Polynesia, take the time to immerse yourself in their language and culture. Stay in a mixture of Polynesian, locally run, guesthouses and Polynesian-style hotels. 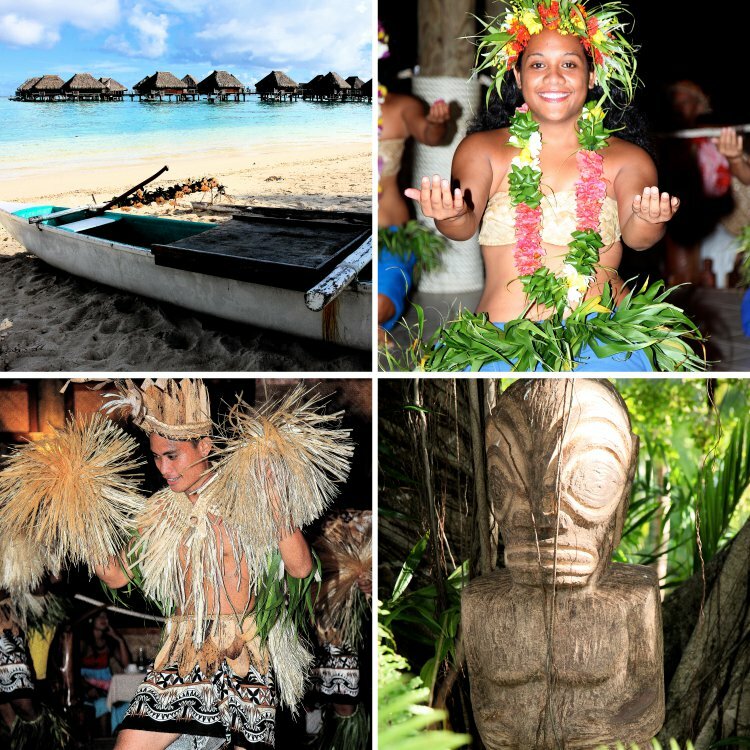 Enjoy Polynesian food, dancing and arts. Visit islands and Tuamotu’s where only guesthouses are available for accommodation. As an idea, spend 3 nights in Moorea exploring the cultural centre, where you can try your hand at local Polynesian arts. Move on to the dense tropical forests of Huahine, where you will feel like you’ve landed on King Kong’s island. Try a hike on Raiatea where you can hunt for one of nature’s rarest flowers, the Apetahi or stay on the atoll of Fakarava in the Tuamotu’s, a place being classified by UNESCO as a biosphere reserve. 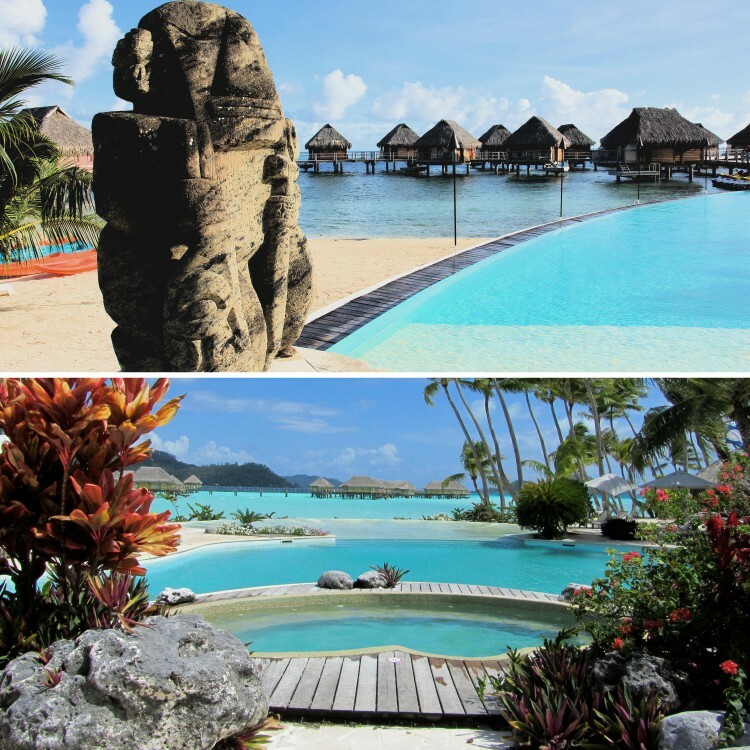 Want to visit multiple islands of French Polynesia but don’t feel like unpacking too often? Sort of feel like a cruise, but don’t want to deal with the masses? 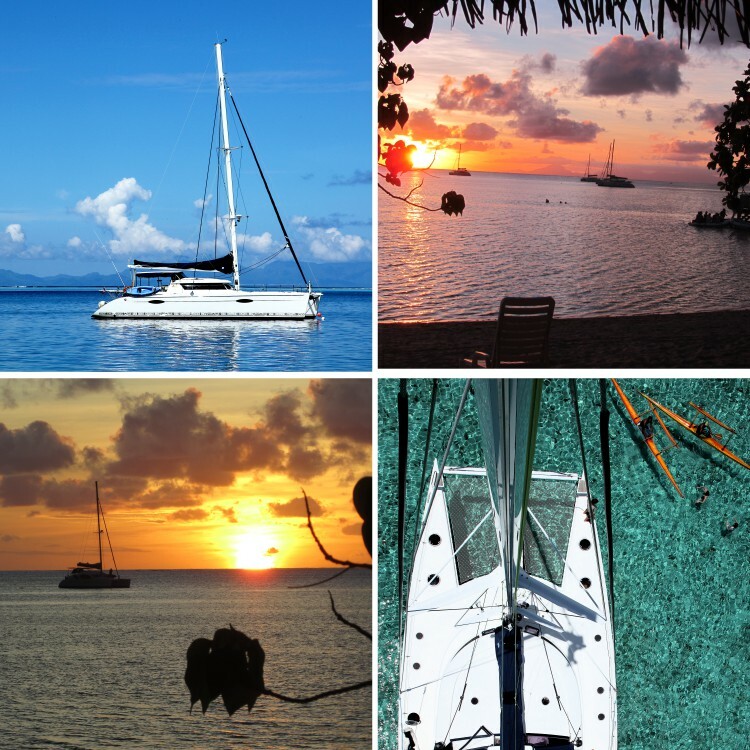 Try a catamaran adventure. There are yachts to be chartered or catamarans with up to 4 cabins. All come with a skipper and a cook on board. This is such a relaxing and amazing way to make your way through the islands. If you like a beach, stay longer. If you like a certain meal, you can have it again. If you want to eat at a restaurant or at a gastronomic hotel restaurant, that can be arranged. This is a great option if you want to see French Polynesia from a local’s point of view and the flexibility of customization on location. 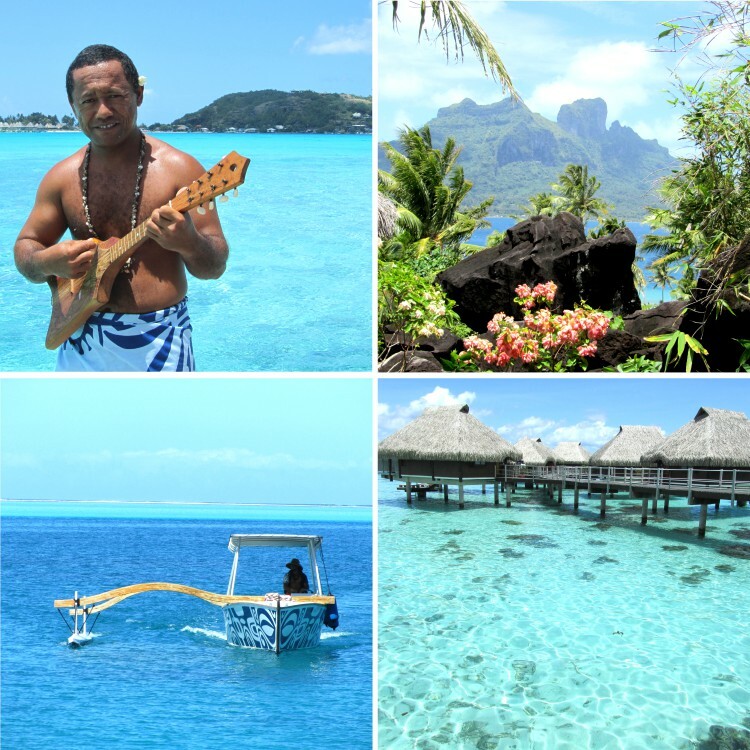 Why not spend an extra couple of days enjoying the Polynesian culture and lagoons? Spend 3 nights (pre or post cruise) on one of several beautiful islands. 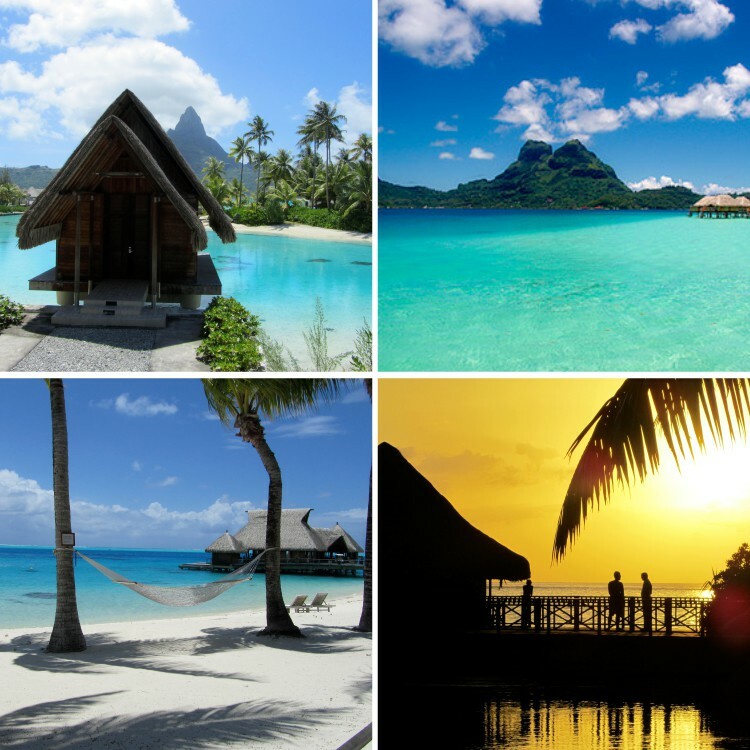 Pick from Magical Moorea, Lush Huahine, Luxurious Taha’a, Romantic Bora Bora, and much more. With crystal clear waters and the abundance of underwater life, both big and small, the extinct volcanic formation of French Polynesia is an ideal heaven for a diving vacation or certification. Explore Tahitian Moana (the ocean): Dive with lemon sharks in the Shark’s dining room off of Moorea or with Leopard Rays in a drift dive in Rangiroa. In the warm waters, there is no shortage of breathtaking, bright and vibrant underwater coral and reefs. Polynesia is one of the rare locations where an experienced diver may snorkel alongside the whales as they come back every fall. There is plenty of adventure and fun for all ages in French Polynesia. There are hotels with split bungalows and 2 bedroom suites so that the whole family can stay together. Visit a blowhole and stay for a surfing competition on the island of Tahiti; Hike through pineapple plantations and learn to dance the Tahitian way on Moorea. 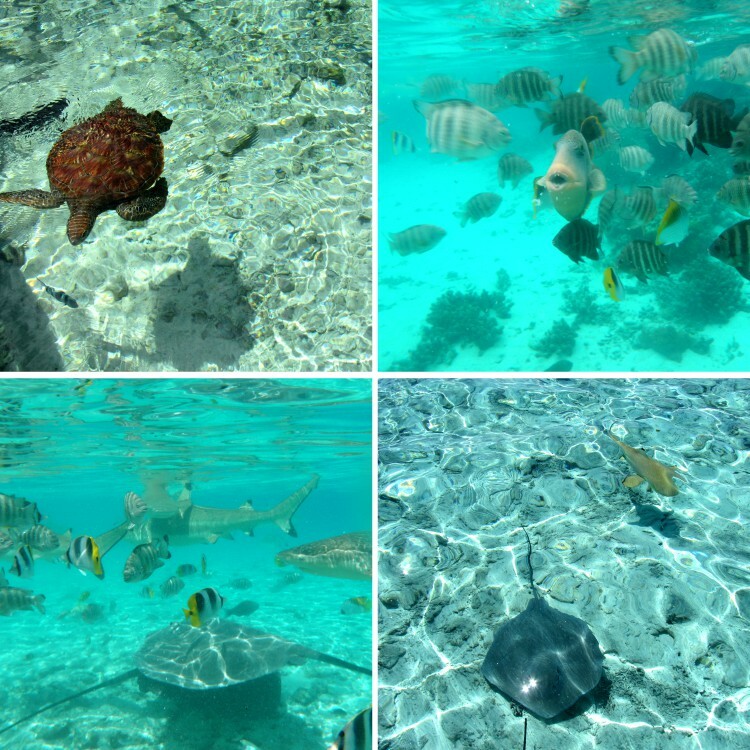 Parasail or visit a lagoonarium (where you snorkel amongst a small subsection of what can be found in the diverse ocean); participate in a turtle rehabilitation program in Bora Bora. Have lunch with your feet in the water or take a horse-back ride to an archeological site in Huahine. Driving an ATV or a Jet ski, hiking to waterfalls, snorkeling, dolphin and whale-watching, and much more… French Polynesia has it all.